US Army Sgt. 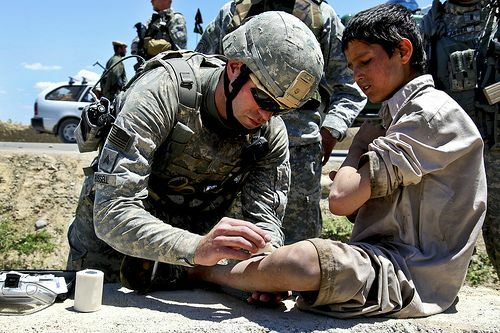 John Russell from Amelia, Va., gives a small child medical care, on June 9, in Loger province, Afghanistan. Russell is assigned to the 173rd Airborne Brigade Combat Team. Photo via the US Army.